Hey Steve, never tried them out, I've been an ADA diehard for many many years now and before that I used my 1972 Marshall 50. I used to run into a 2 x 12 open back cab that had Fender Twin speakers in it (I believe they were Eminence but quite different no doubt). Worked well with both the Marshall and early ADA MP1 rig. While I can come at using a clean/transparent transistor power amp, I still prefer valve pre-amps. 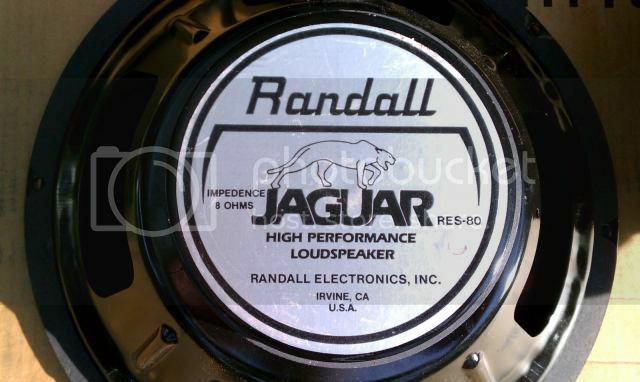 I have used Randal Jag speakers. 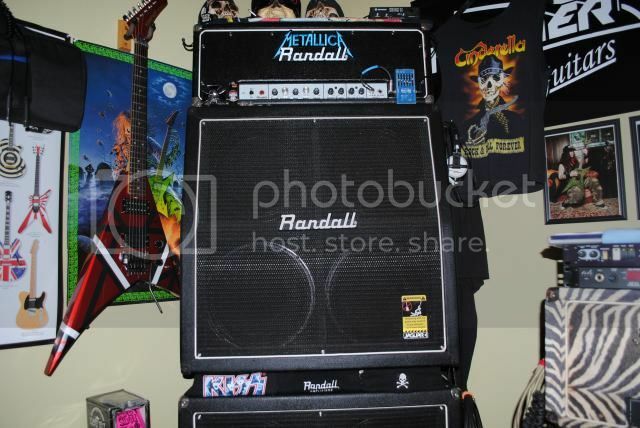 I just sold my 4x12" the other week Randall RG. I really liked that cab though. I just sold it as I was getting different cabs that were more in favour of my amp setup. The only thing I would say about the Jags was that they cold be quite fizzy with certain gear and you'd probably have to work that out of the sound via EQ, but the was good clarity and detail and the bottom end was tight as tight can be, good response. I had the RX4x12. Slightly more compact 4x12" which made it even nicer as it was easy to get into car's etc. The Jags were used back in the day. But not really that great they fart pretty bad. Your Randall Head will love aMarshall/Soldano/Vht/Mesa cab. The Randall Cabs are very limited on over all volume and punch. Dime can be seen very many times rocking Marshall cabs along with the Randall 2x15. Vader Cabs nothing around offered some extremely solid 2x15 with Eminence that just Crush as well as the 4x10s and 4x12s. Eminence have sear power and move a lot of air. But the Celestions have that highend backup we all grew up too. Even Randalls highend cabs are basically a Marshall loaded with either Gt75s or V30s. Funny mine never farted or sounded bad at all. I'd buy em again if I'm honest. Wonder what RandallRG thinks. Good question haven't heard from him in a while, hey Steve ? what's happening my METAL friends ?